Each summer in June, the Santa Clara International Grand Prix Swim Meet takes place in Santa Clara, California. Since its inception, 23 World records, 333 American records, and 64 Foreign National records have been set at the meet, including a World record set by Michael Phelps in 2004. It’s an exciting event that annually attracts the greatest swimmers in the world. After receiving a few passes to the meet, I was excited to go and especially excited to see Phelps swim. 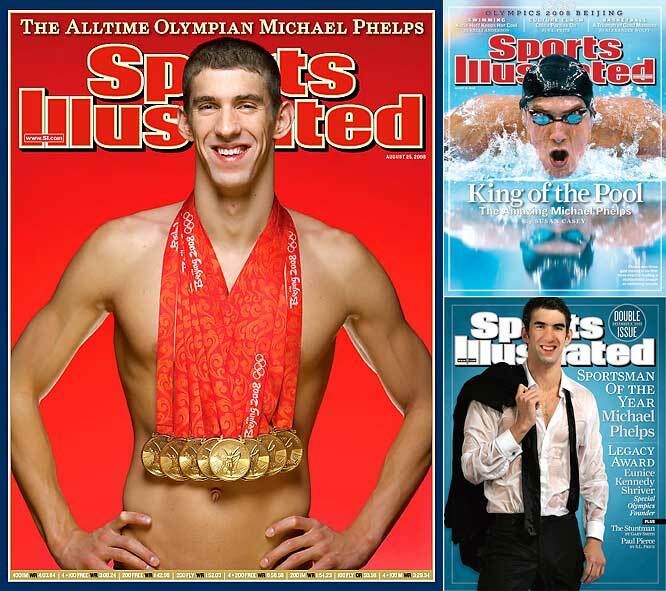 Michael Phelps is argueably the greatest swimmer of all-time after winning eight gold medals in the 2008 Beijing Olympic Games, bringing his overall Olympic medal count to 16. With an extra pass, I invited my nephew who is a youth athlete and big sports fan. We arrived early morning at the George F. Haines International Swim Center which is located in the city of Santa Clara’s Central Park. As we walked behind the Swim Center through the park, there were very few people around, but I did notice an attractive woman pushing a stroller walking towards us. 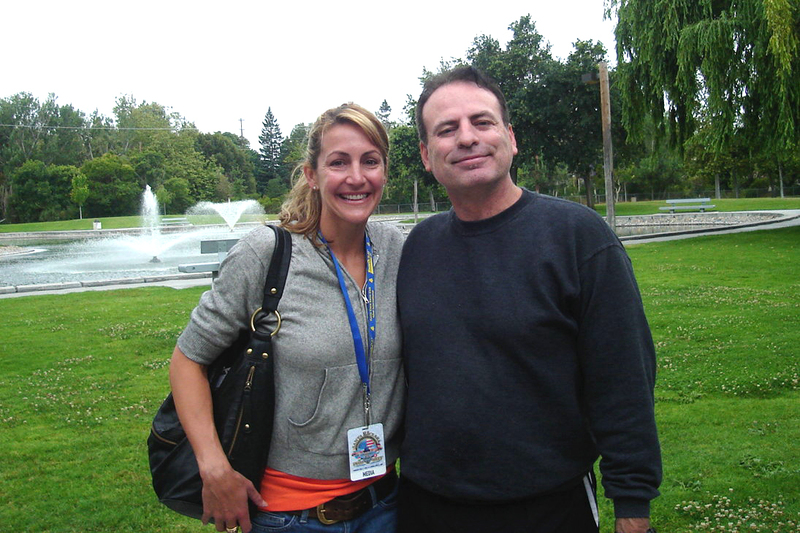 I immediately recognized her as the sports commentator and reporter, TV show host, actress, and retired Olympic Gold medalist Summer Sanders. As we approached her, I filled my nephew in on her accomplishments and decided to introduce ourselves. Sanders could not have been any nicer and was relaxed, personable, and friendly. Even with her two children with her, including a baby in the stroller, she spent nearly five minutes with us, explaining she was in town to broadcast the swim meet on NBC Universal Sports. She also patiently allowed my nephew to take several photos of her and I. A year later, I watched her compete again, not in the pool, but on NBC’s The Apprentice reality television series. She did well outlasting seven other job seekers before being fired by Donald Trump. 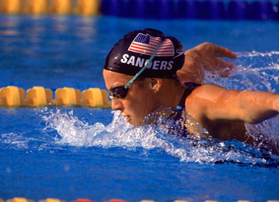 In my mind, Summer Sanders is a class act. She’s beautiful, well-known, and famous, yet she seems to acknowledge her fame in a very down to earth way. This entry was posted in Uncategorized and tagged 1992 Summer Olympics, Gold Medal, Michael Phelps, Olympic Games, Summer Sanders. Bookmark the permalink.